Every dollar saved is one more dollar in your pocket and we are all trying to reduce costs wherever we can. Certainly a family’s budget can benefits from a few more dollars in a practical sense, but there is a level of personal social responsibility that can be achieved through conservation. Conservation can take on many forms from reusing objects to recycling materials, but the best area of conservation is using less. Fuel-efficient cars, long-life light bulbs are but a couple of items that can be readily accessed to save energy and the planet in the process. One of the biggest areas of conservation is in home energy use, high-efficiency furnaces and water heaters are commonplace now and as conservation finds new areas to reduce consumption, attic insulation is becoming a growth area for the cost conscious shopper and environmentalist. Experts tell us that a home heats loss through the roof is 40 per cent of a home’s overall heating and cooling costs. 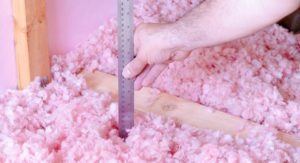 The best way to keep your money from going through the roof is a dense layer of Owens Corning Ecotouch Pink Insulation. Choosing the right product is only half the battle, having a certified professional with many years experience install the insulation is where it becomes important. If the installer is less than an expert, any savings derived may not be prevalent due to less than stellar work. And in the end, it means another outlay of money to have the right people come and perform the work right to protect your budge and your home. Attic insulation regulates temperature, if there is less than adequate insulation, excessive heat can buildup in the attic. If the heat is venting though the roof to the shingles, it will cause premature degradation to the shingles and those 50-year warranty shingles won’t be worth a decade’s worth of life due to the intense heat the shingles will be subject to. Excellent attic – using Owens Corning EcoTouch Pink insulation will preserve the life of your shingles and ensure that the warranty will be valid as long as a certified professional installs your attic insulation. Vapour barriers and moisture barriers play a big part of any attic insulation job because they seal the attic and protect it from unwanted moisture of vapour release. If moisture is allowed to build in the attic, it will seep into the trusses and the decking and cause the roof to sag and effect the structural integrity of the home and could be may thousands of dollars in repairs if not done correctly. Owens Corning invented fibreglass insulation over 70 year ago and have been the industry leader in fibreglass insulation ever since. Over 73 per cent of Owens Corning EcoTouch Pink insulation is made up of recycled fibres, saving energy in the process of its creation while using less materials to achieve the same end as other types of insulation. EcoTouch Pink is GREENGUARD Gold certified for air quality and is formaldehyde free. EcoTouch is virtually dust-free during installation in comparison to other brands of insulation and has a guarantee for thermal performance for the life of your home. Installling Owens Corning EcoTouch Pink insulation can return a savings of up to 28 per cent on heating and cooling bills, while reducing your carbon footprint in the process. Depending how you live, savings on heating and cooling bills will vary. Other considerations that you may to take into account when adding insulation is the climate you live in, the size of your home, air leaks and personal energy consumption.